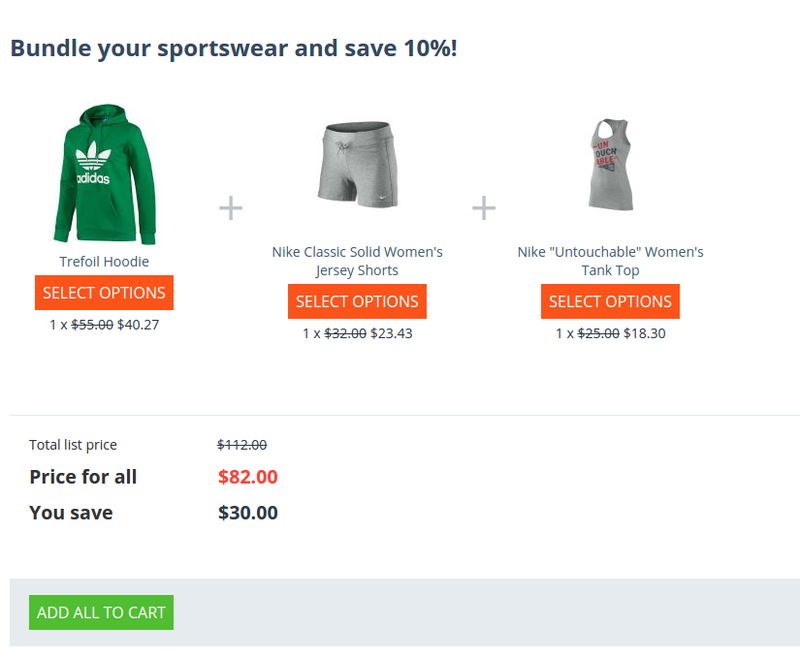 Do you have any items in your store you’d like to sell together, like a t-shirt and shorts? Do you want to make more money from every customer that visits your store? 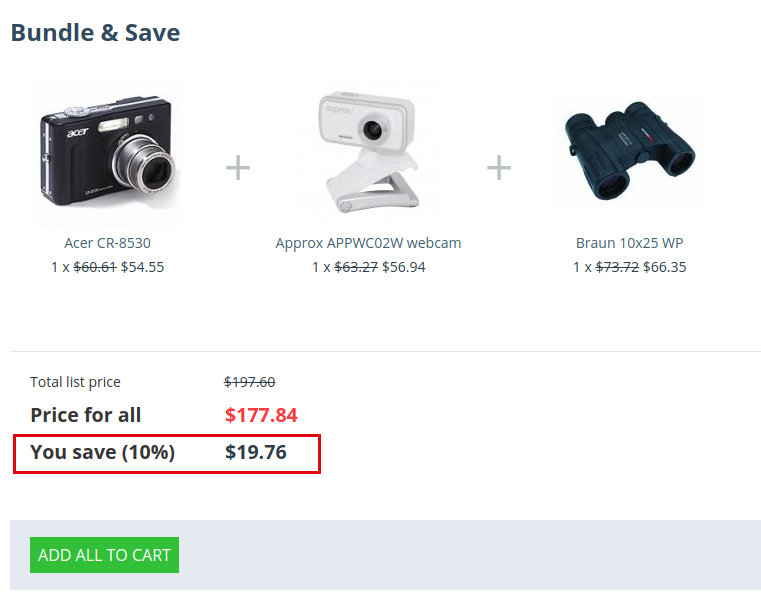 The Product Bundles add-on can make it possible! 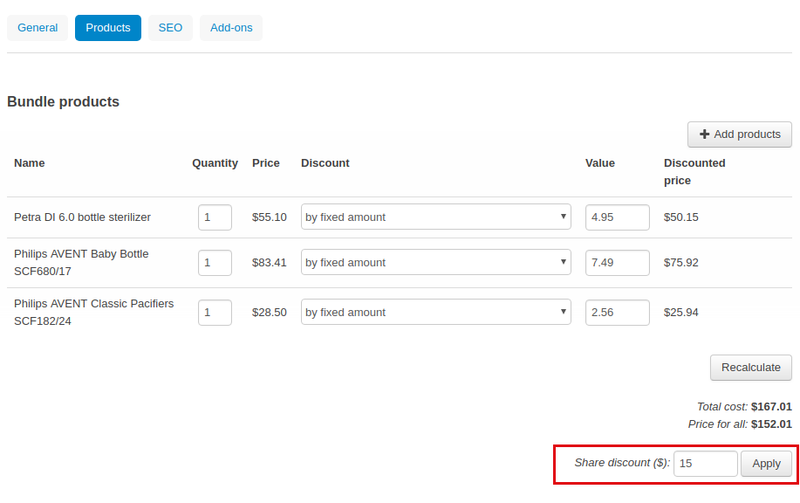 The add-on lets you encourage your customers to buy more by offering special discounts for a set. 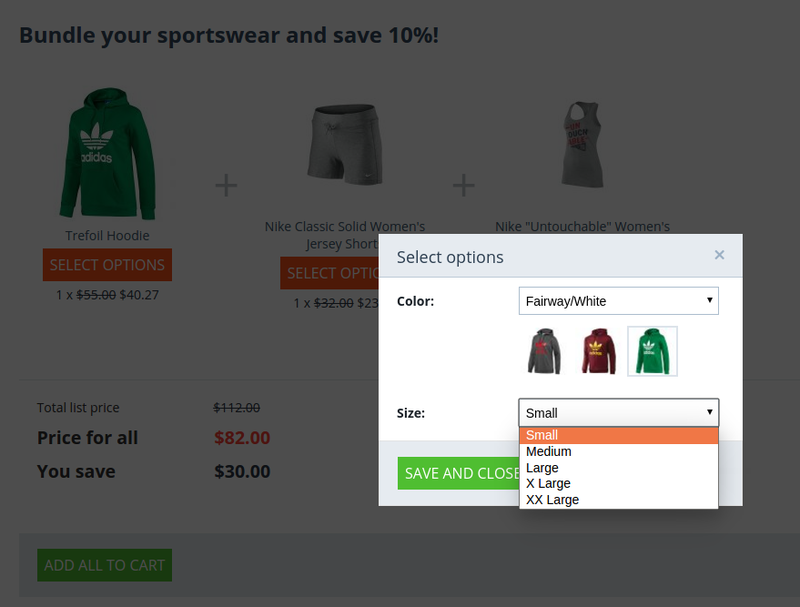 In case a product has options, like size, color, customers can choose the ones they prefer. List of all created product bundles (see Creating bundles list). 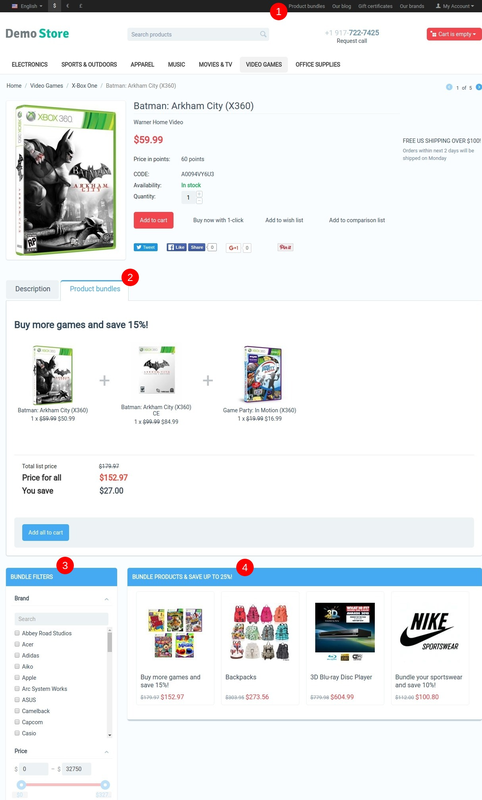 The add-on also creates a page to show all product bundles available in the store. 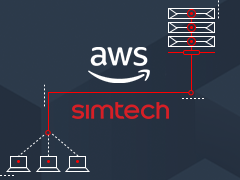 Add the link to this page to Quick links to make it accessible to your customers (see Adding bundles list link to Quick links). 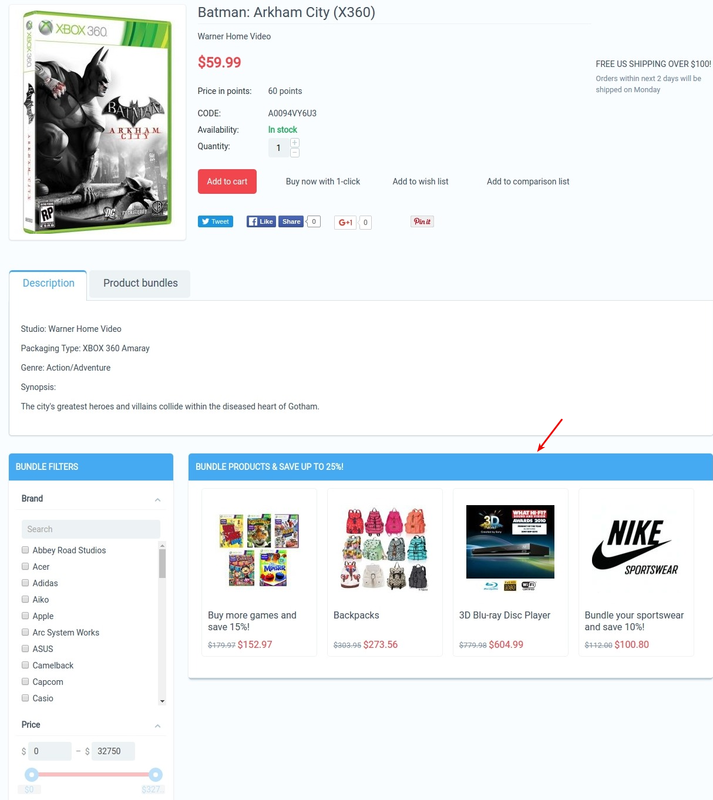 Clicking on the bundle will take customers to the detailed bundle page with the Add all to cart button. 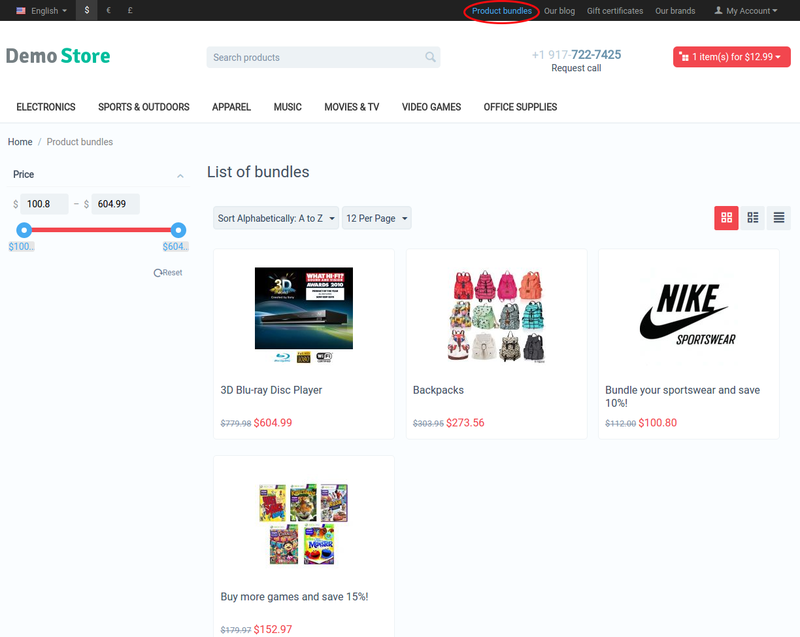 Increase your revenue online—get the Product Bundles add-on now! 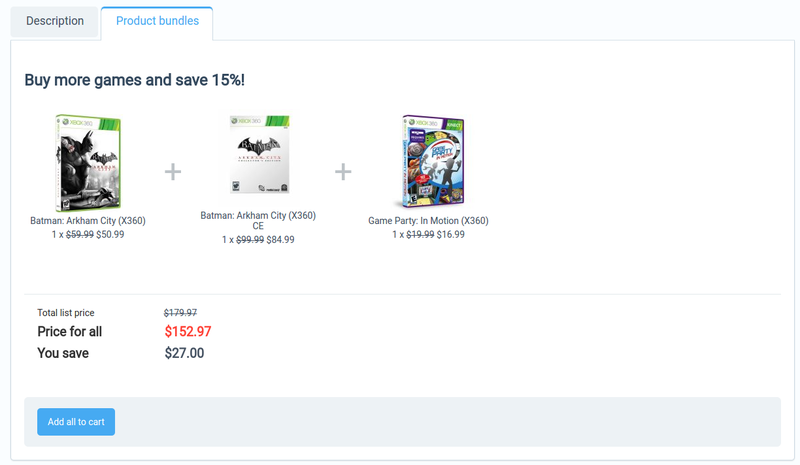 Then he sees an option to bundle and save, so if he buys two more games, he will save $27. Good deal, huh? So Tom happily adds the entire bundle to cart. 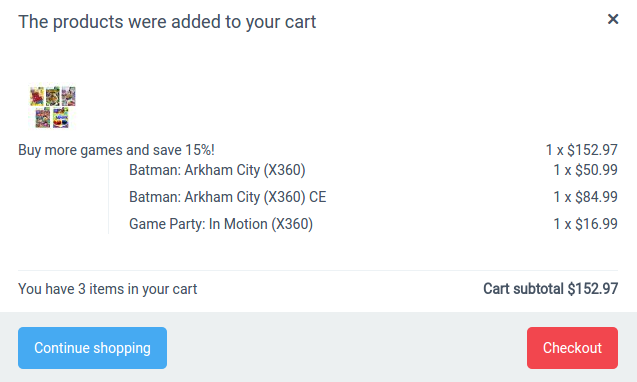 The bundle will be added to cart like a single product, but Tom can still see products included in the bundle. 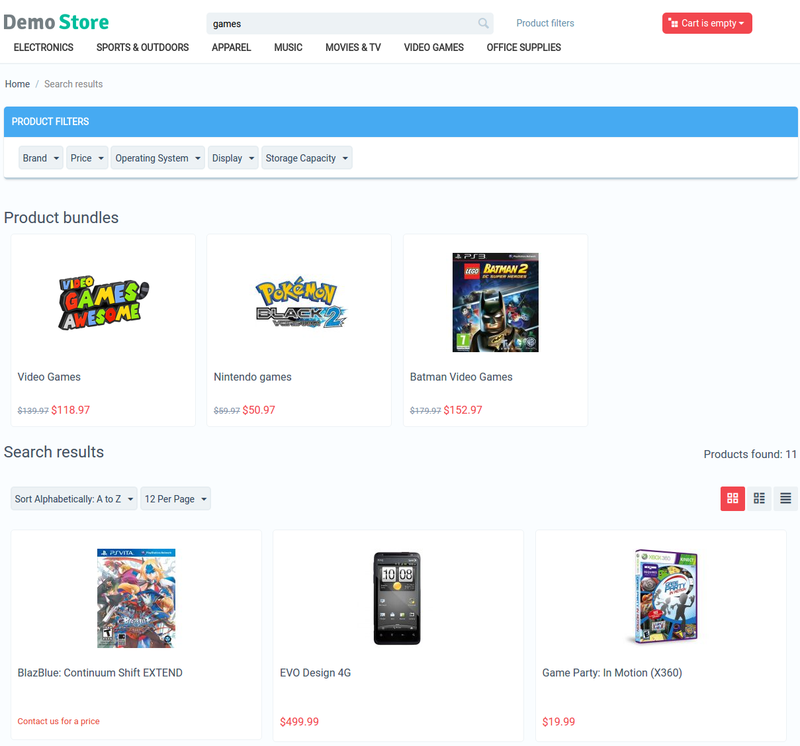 Check out the Product Bundles add-on in our demo store. 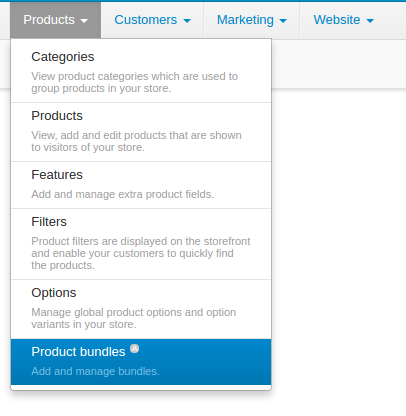 Install the “Product Bundles” add-on on the add-ons list page (“Add-ons” → ”Manage add-ons”). Click the + button in the top right corner, select an archive and click Upload & install. You can now find the installed add-on in the list of installed add-ons, just make sure it is set to Active. 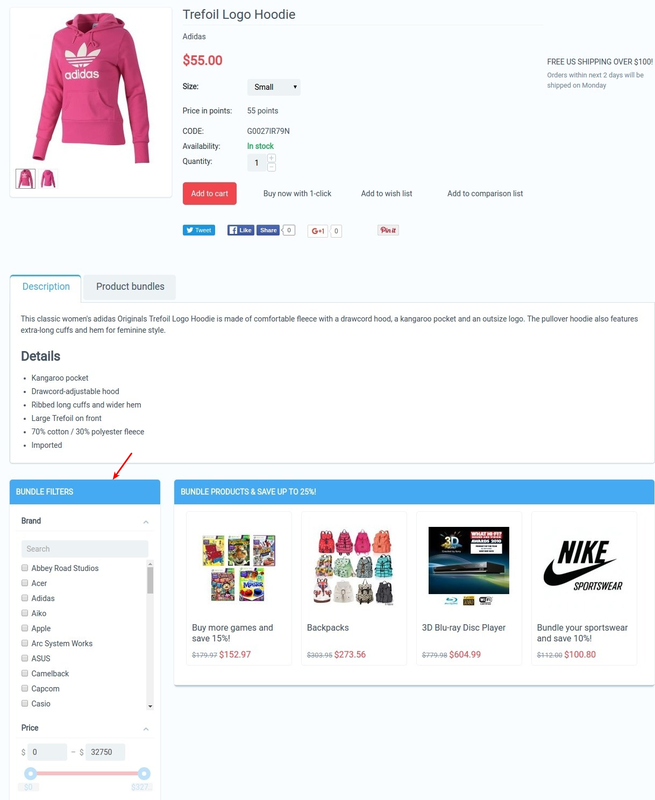 The add-on enables you to create product bundles that will be shown on the product details page in the Product bundles tab. Navigate to Products > Product bundles. The + button will not appear under all vendors mode. 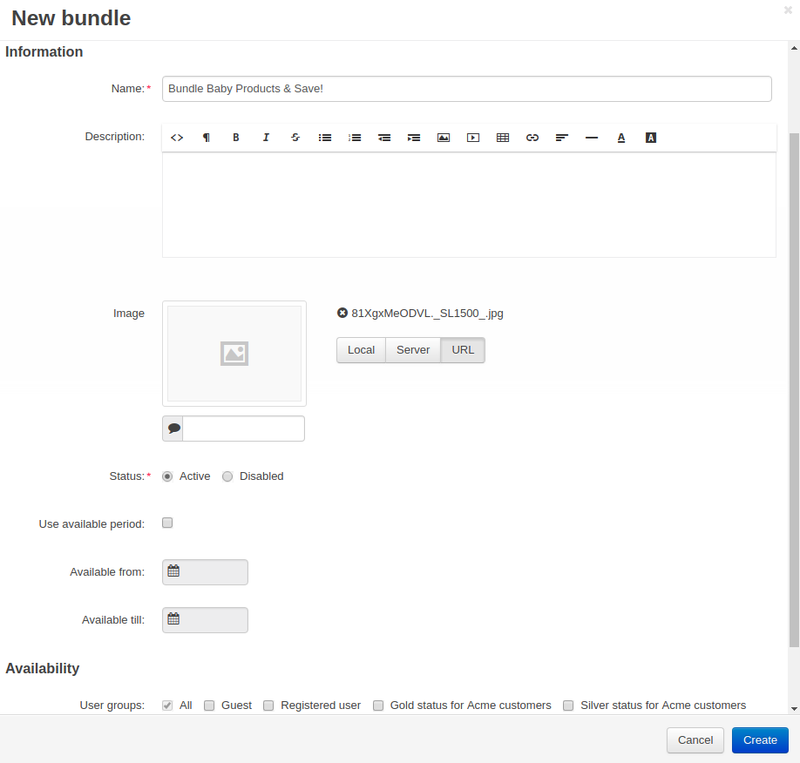 In the General tab, enter a name for the bundle (it will be shown on the product details page), add an image (it will be shown in the list of bundles), and optionally set a period during which the bundle will be available. 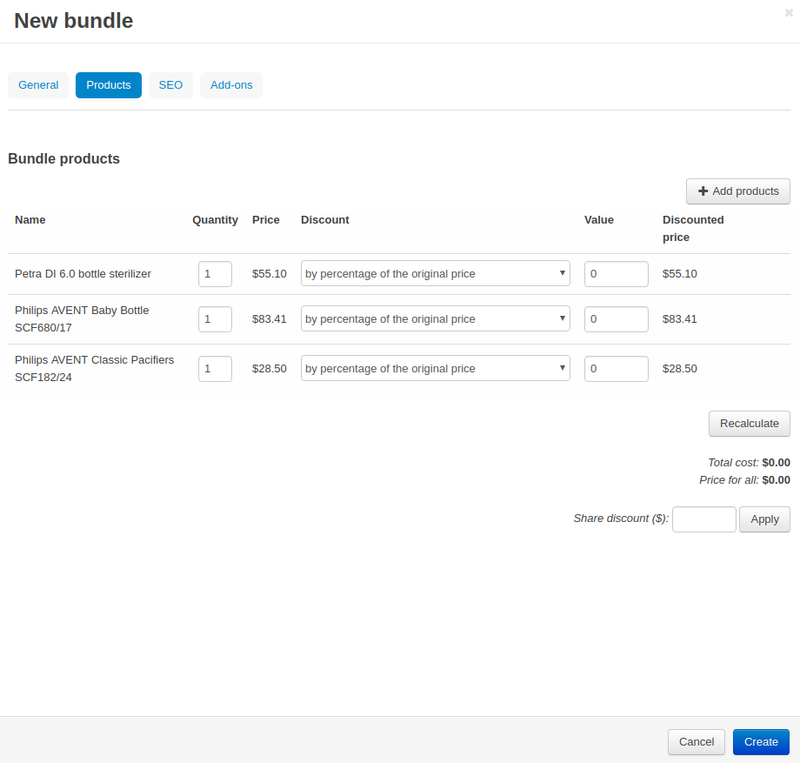 In the Products tab, click Add product to include in the bundle. 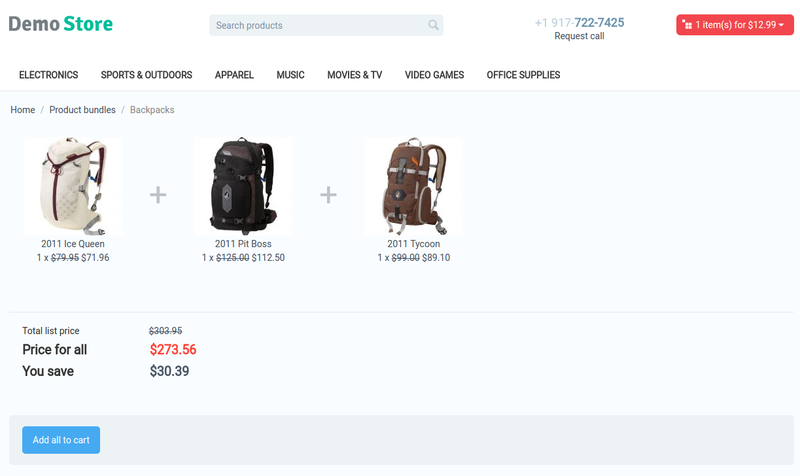 Select necessary products and click Add products and close. 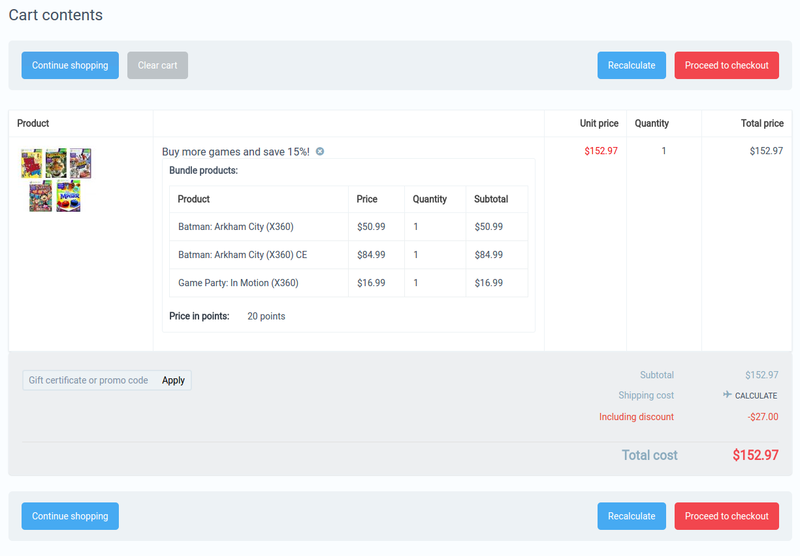 When adding products with options, you can preconfigure particular options, or leave the choice to the customer by selecting Any option combinations checkbox. 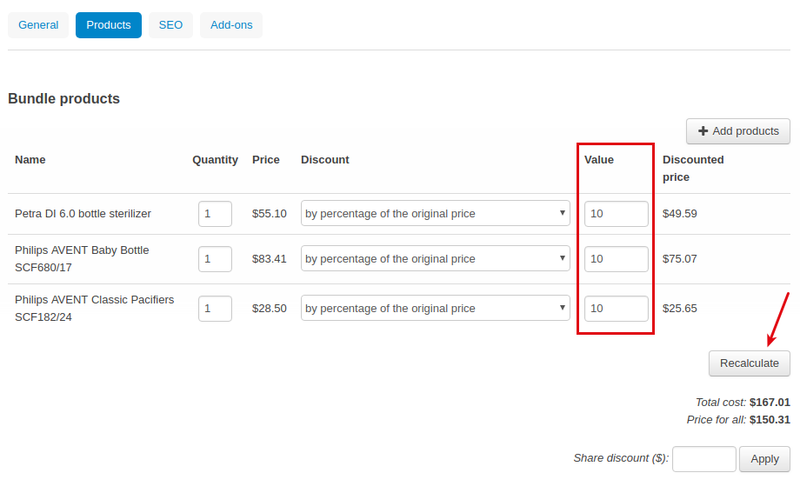 Specify a discount amount and click Recalculate. Click Apply to see the discounted price. 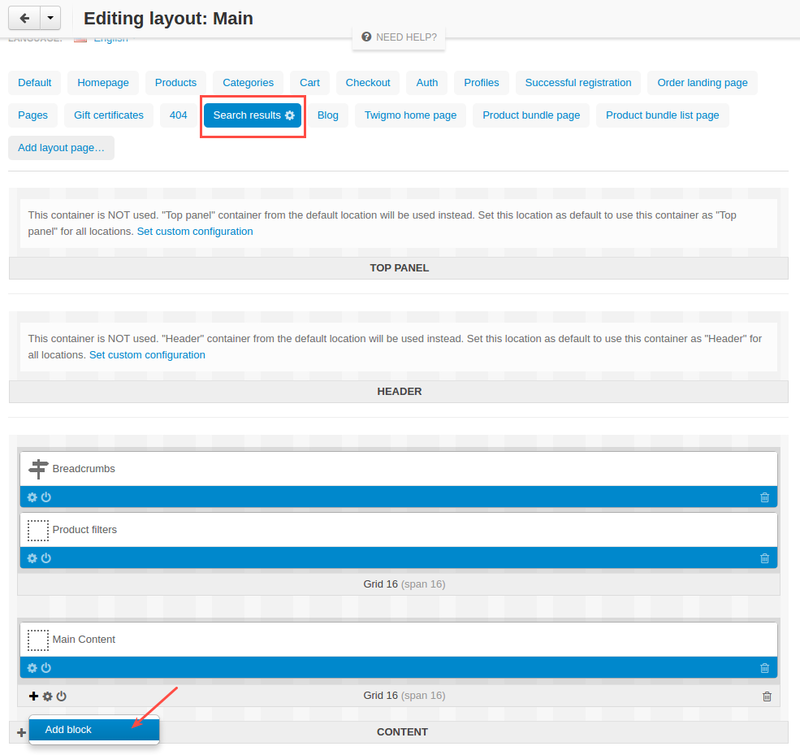 In the SEO tab, specify meta data for the bundle. 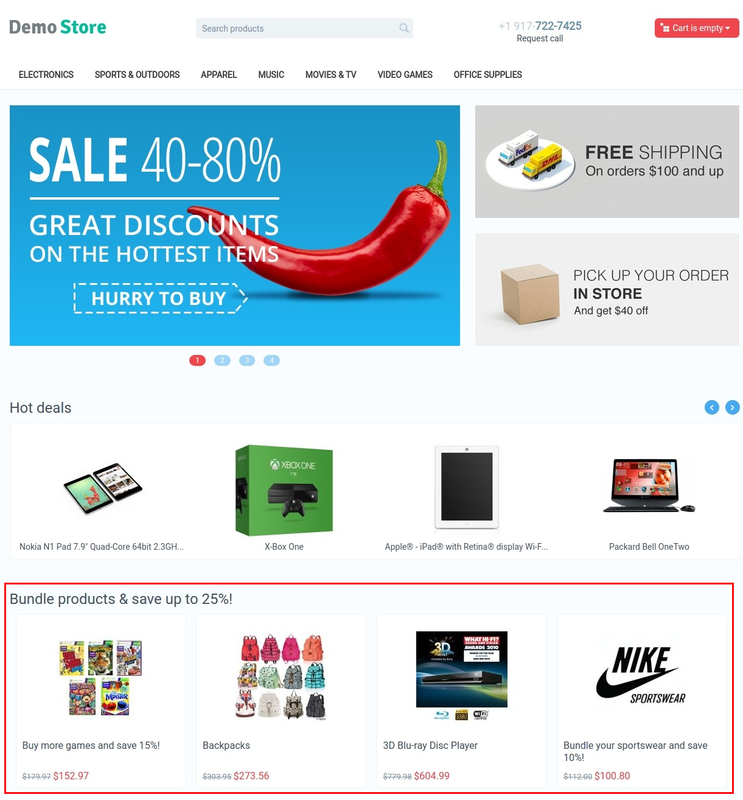 In the Add-ons tab, decide whether you want to allow payment of this bundle by reward points. 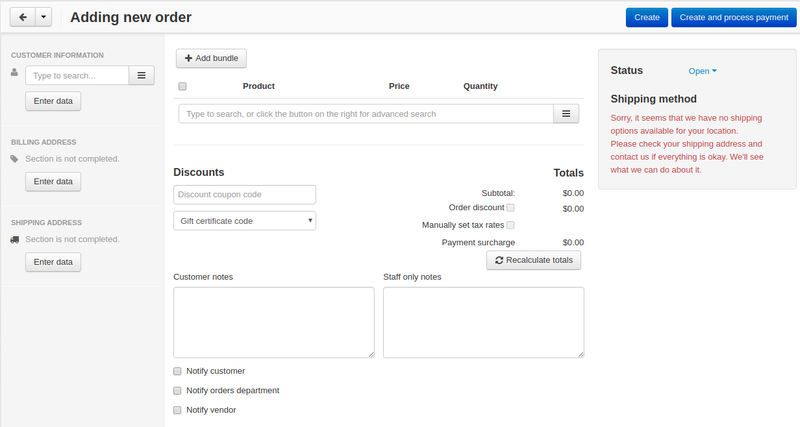 When creating an order in the admin panel, the admin can easily add product bundles to orders. Go to Orders > View orders. Click + to add a new order. You will be able to search for bundles. Type in the name and click Search. Then click Add bundles and close. 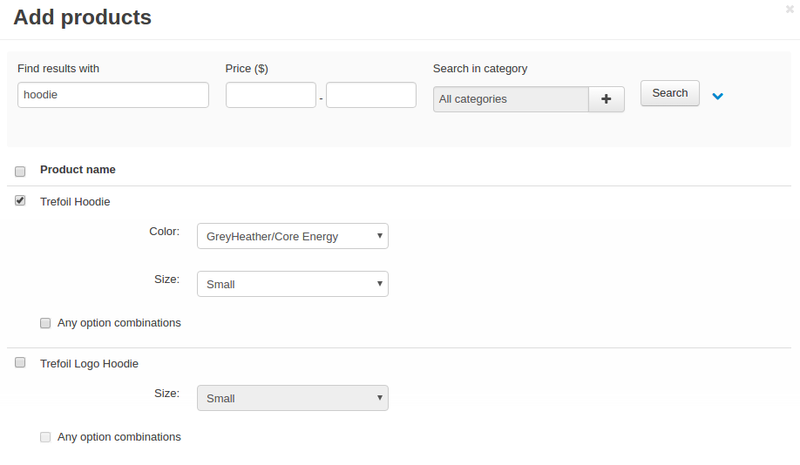 Complete the order creation by filling in the rest of information. You may want to show all product bundles available on the product details page. 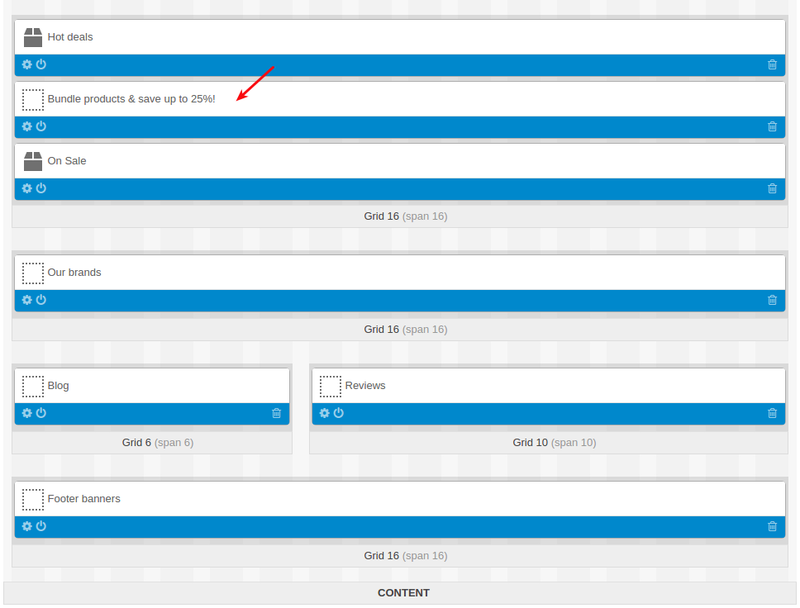 Switch to the Products tab and under the main content click the + button to add a new grid. 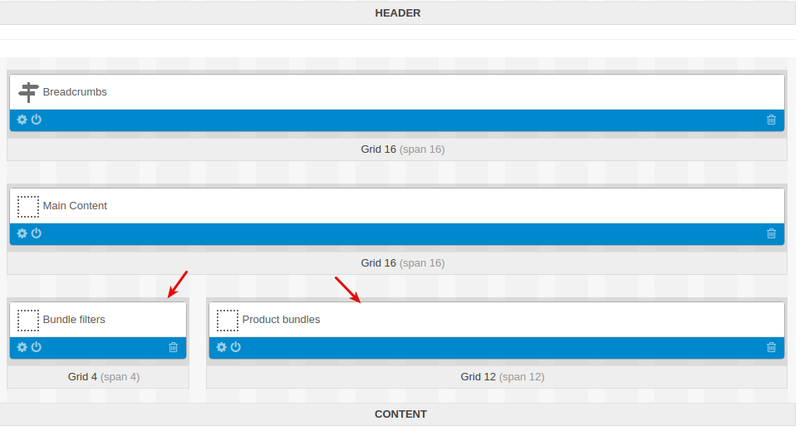 We will create two grids: one for the bundles list and the other one for the bundle filter (see Creating bundle filter). Create a new block in the right grid. 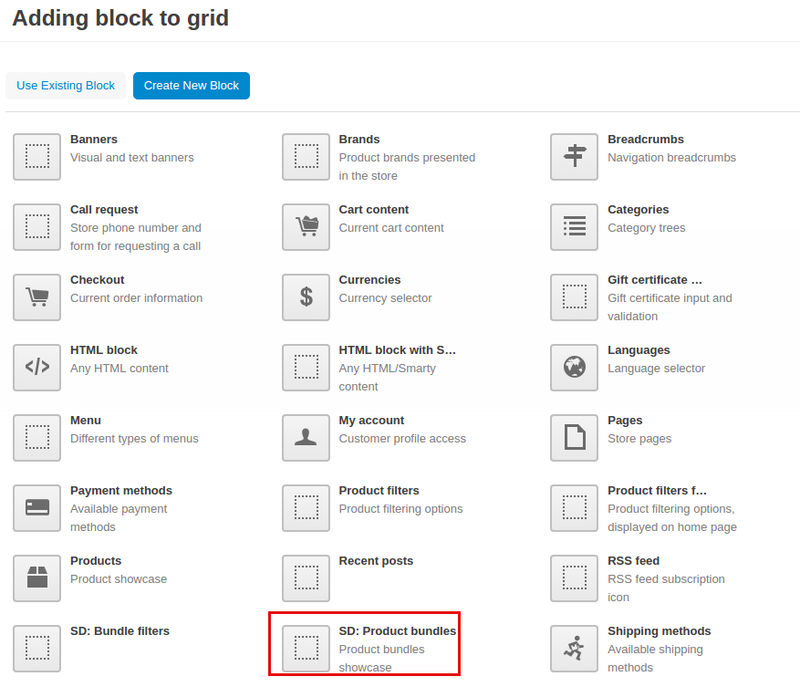 Select the SD: Product bundles block. 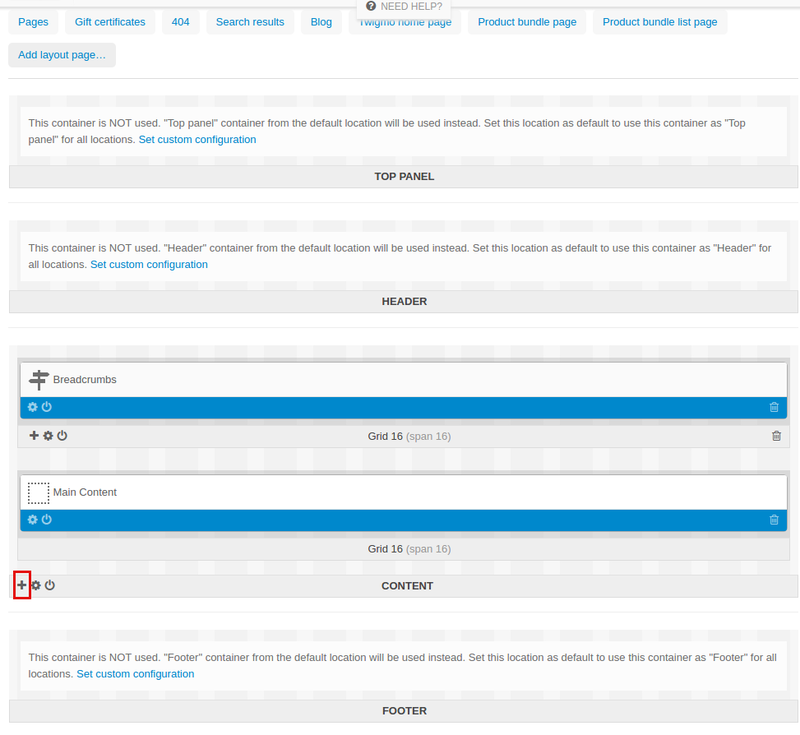 In the General tab, name the block and select a desired template. 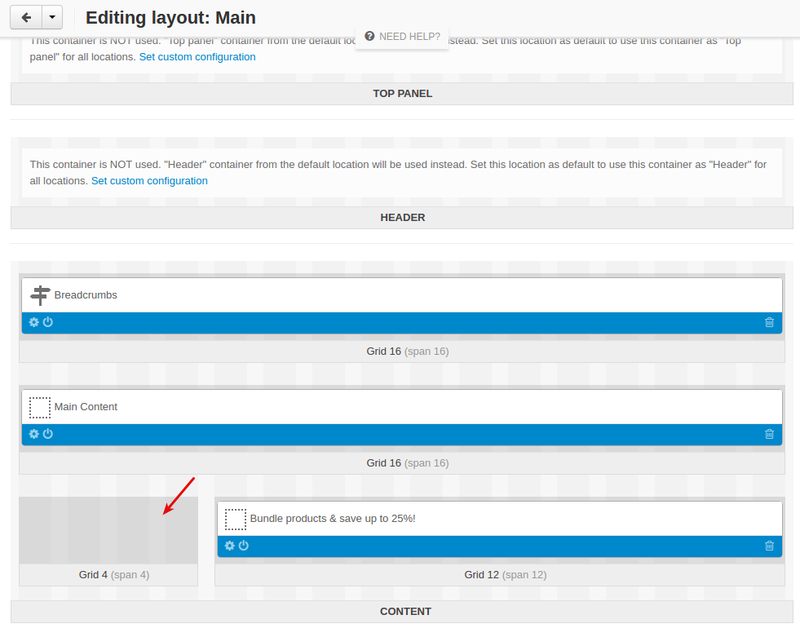 In the Block settings tab, set the limit for bundles to display on a page. 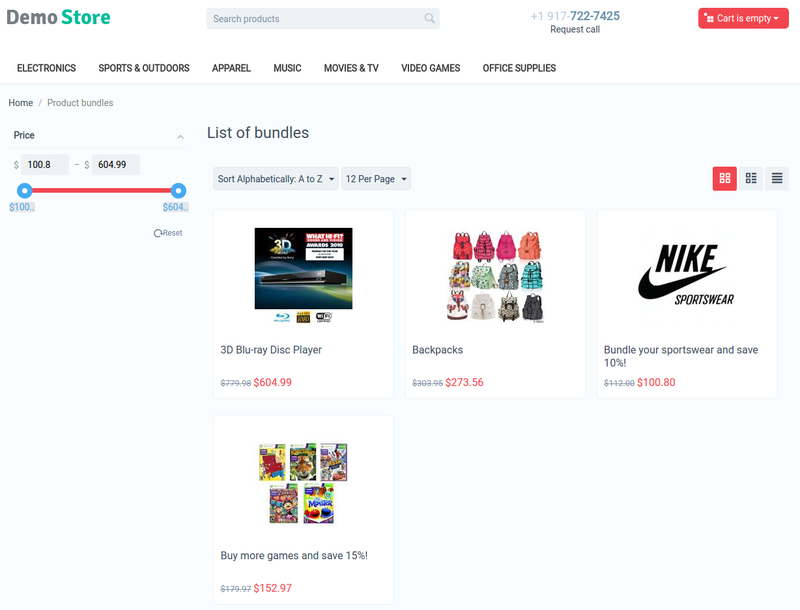 You can also add the product bundles block on the homepage. 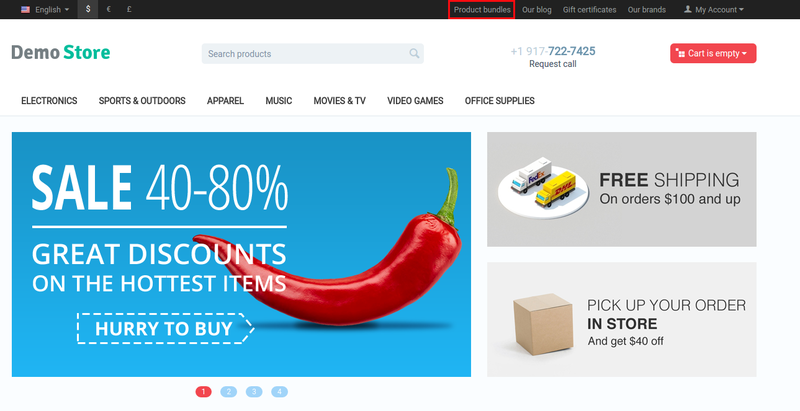 To do so, add the Product bundles block in the layout of the homepage. 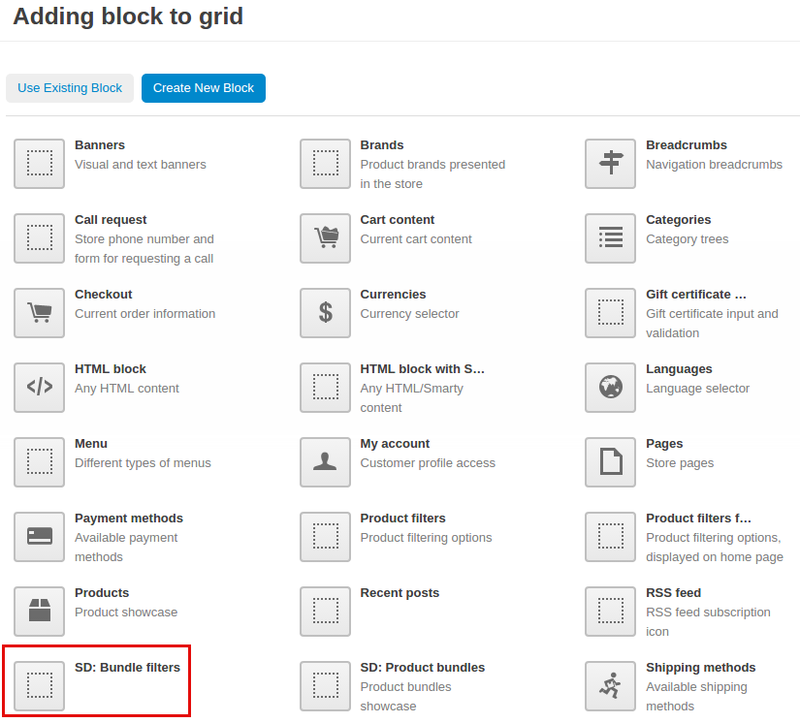 As a grid for the filter is already prepared (see Creating bundles list), you just need to create a block in it. Select the Bundle filters block. Here’s the created block next to the bundles list block. 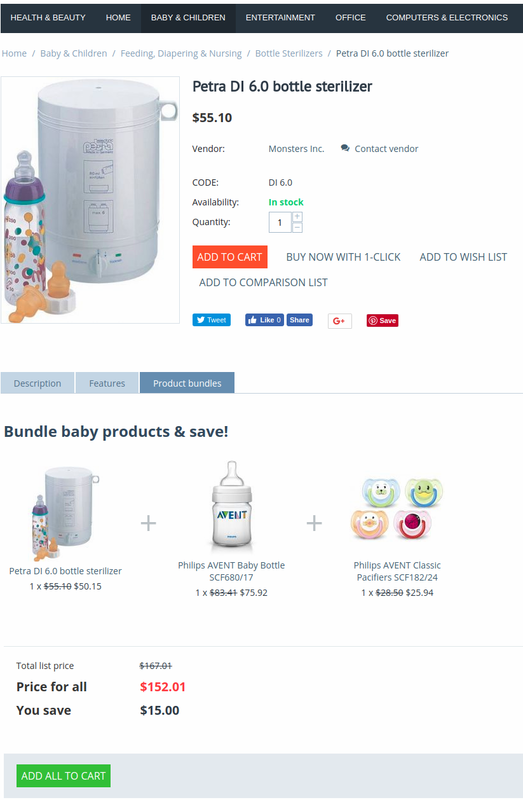 The add-on creates a new page with a list of product bundles. Navigate to Design > Menus. Click the + button to add a new item. 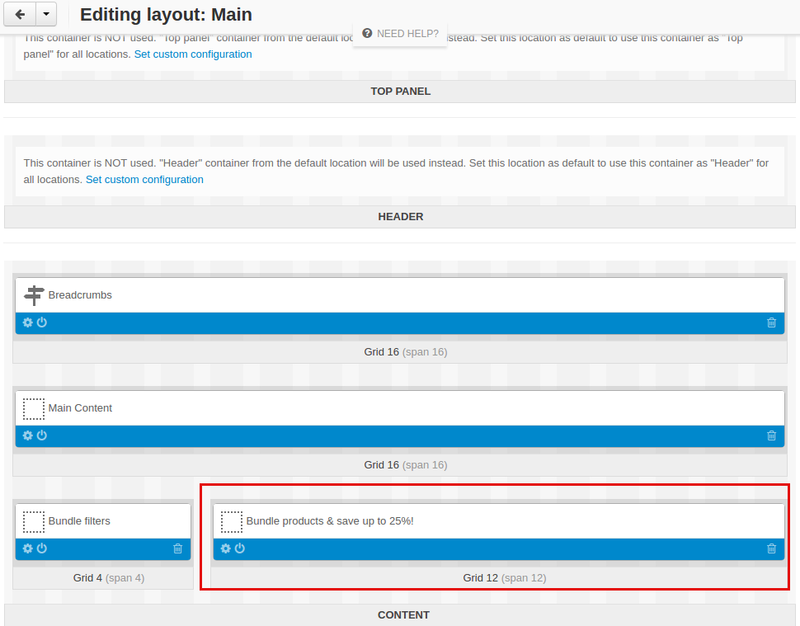 Enter a name for the menu item, specify collection.list in the URL field and configure the rest of the settings. Switch to the Search results tab. Add a block in the Content container. 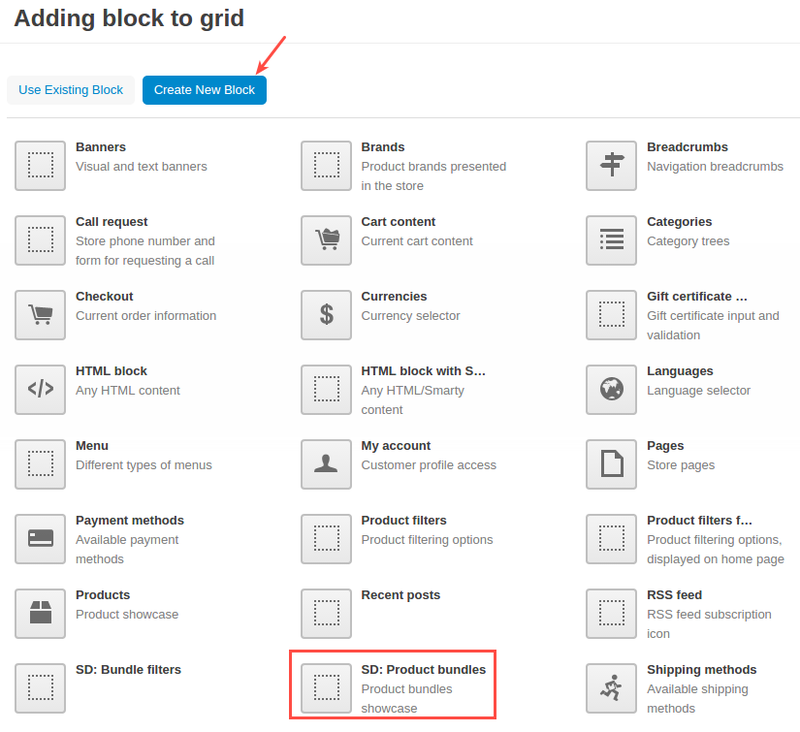 Switch to the Add new block tab and select the SD: Product Bundles block. 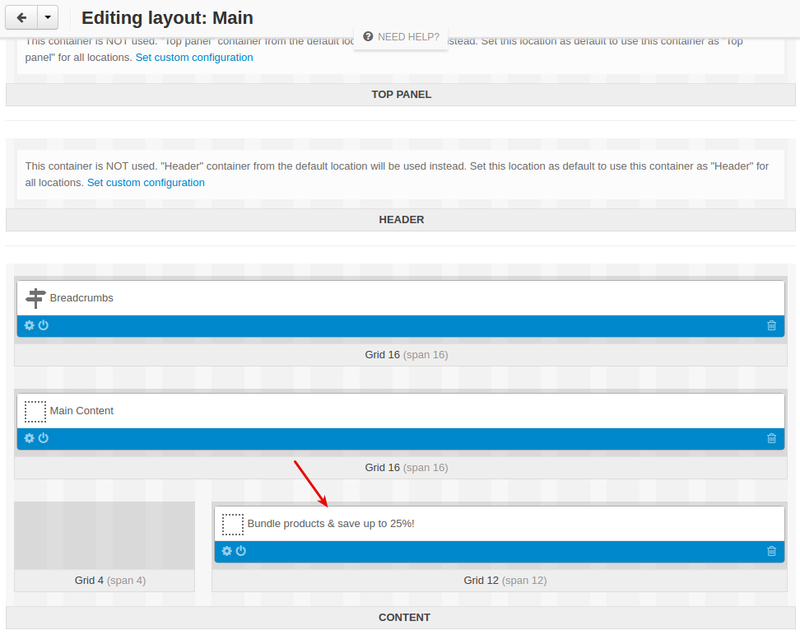 In the general tab, name the block and select the necessary template. 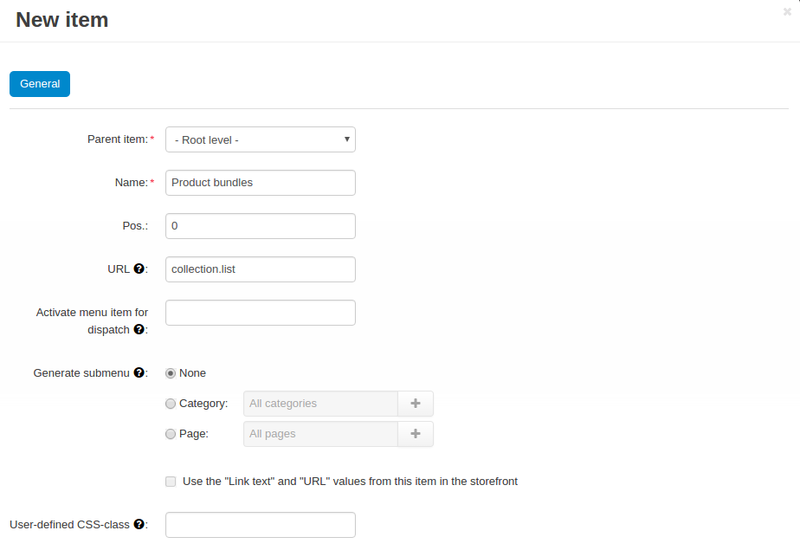 Switch to the Block settings tab and set the limit for bundles to display on a page. Go back to the block settings and select a desired wrapper. Click Save. The block has been created.